# 69 of 409 Retirement Villages in New Zealand. 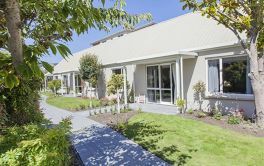 Glenburn Retirement Village, New Lynn in Waitakere / Auckland is stated as being "located in one of New Lynn's little nooks" within Waitakere, Auckland. "It is situated near a bus stop, and just up the road from the township and train station." The Bupa website goes on to say that they have a lovely, cosy environment where they make people feel at home. 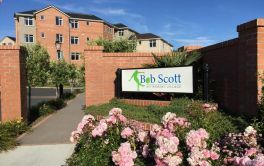 They offer one and two bedroom apartments that allow you to enjoy independent living while keeping involved in the buzzing community culture if you choose. 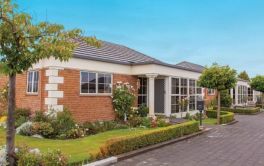 They state that the Glenburn Retirement Village "is intimate - small enough to be quiet and personal but large enough for residents to form friendships and have a sense of community." They boast three community lounges that serve as social hubs, a well-stocked library, pool table, hair salon, gymnasium and indoor bowls area. The village also like to keep the social calendar filled with regular outings, movies, visits from entertainers and plenty more. × Have you visited this facility? 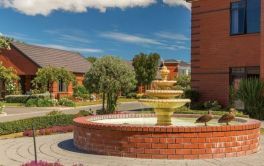 Help others who are looking for a place by posting a review on Bupa GLENBURN RETIREMENT VILLAGE or review a different facility now. Activities. Van for shopping and outings. General : Outdoor bins - rubbish. Cleanliness - entrance. Glassed areas - window nets. Pride of village - ownership. Lots of clutter. Living in well maintained modern apartment. All mod-cons. Only bills bank optional, TV/phone.internet etc. Otherwise all covered by monthly fee. Safety - especially for those living alone. Making new friends. Can't think of any, except perhaps no pets. Good all around community, centrally located. We feel safe. No gardening to do. Less household work. Emergency help is available. It does take time getting used to the way of life. Independent living without having to worry about any maintenance. Never having to be completely alone! There is always someone to chat with if you need company. Like life you won't get one with everyone, but you can choose your companions. I have been here 6 years and have never regretted my move as it frees my children as well as me. Good size. Well organized. Residents committee. Handy to shops, bus and rail. Insufficient parking. [I found] head office [to be] unresponsive. Few recreation things. Stop trying to take our bus. It was a condition of sale.